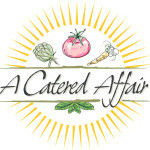 A View Venues is proud to work exclusively with the following caterers. All beverages must be provided through A View Venues. Beverages may be subject to change. A View Venues requires a beverage package. *All liquor packages include beer, wine, and soda. Please see below for liquor in each category. Includes bottled beers, 6 flavors of house wine and soda. Includes soda, coffee, and iced tea. Beverage items not hosted will be available at cash bar pricing.